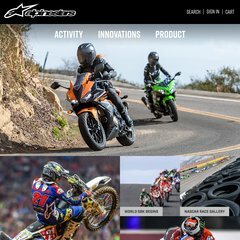 Topics: Shop, Keep Shopping, Moto, Footwear, and Gloves. It is hosted by Eurodns S.a. Luxembourg, using Apache web server. A-stars.co.uk's IP address is 80.92.65.144. ns3.eurodns.com, ns2.eurodns.com, and ns4.eurodns.com are some of its 4 Nameservers.